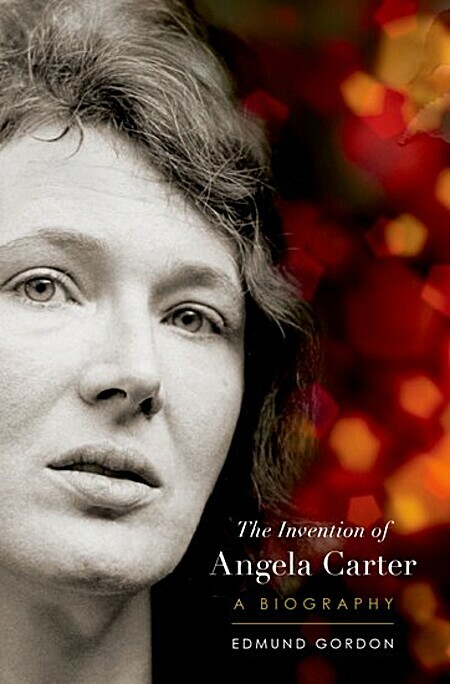 Angela Carter is pretty high on my list of favorite authors, so I was delighted to see this book. Her stories refuse to fit neatly into any one genre; they have humor, magical realism, pure fantasy, literary fiction, grim fairy tales, and a lot more. She also wrote tons of journalism pieces, and had a huge volume of correspondence (which was one of the many sources Gordon mined). Her early novels are not much known these days, but her later ones- ‘Wise Children’ and ‘Nights at the Circus’- as well as the reimagined fairy tales in ‘The Bloody Chamber’ sold well when published and are still popular now. Carter’s early life was suffocating. Her mother was controlling to the point of monomania. Angela was not allowed to use the bathroom alone until she was eleven, and her mother wanted to accompany her to college. The only way to escape perpetual childhood was to marry, which put her into a different type of prison. Her marriage to Paul Carter was happy at first; she loved him, and having her own house rather than being under her mother’s thumb made up for any number of faults. But as the years went on, and she wrote and went to college, holes appeared. Paul Carter seems to have suffered from depression, as well as wondering aloud why his wife couldn’t keep the house clean when she had plenty of time to read and write. When Angela won a writing prize that paid her to travel, she went to Japan by herself and the marriage soon ended. She had a couple of intense affairs while she was there, both with much younger men, and found herself perfectly capable of living on her own. Later, back in England again, she met Mark Pearce (again a younger man), a construction worker who fixed a plumbing problem for her. While not an ‘educated’ man, Pearce was far from stupid and their relationship lasted until her death. At 43, Angela gave birth to a son, Alex. Throughout this relationship, Angela continued to write ceaselessly, while Pearce went to college, tended to the house and Alex, started a pottery shop, became a teacher, and generally kept Angela’s life together. During this time, Angela was finally enjoying success and financial stability. Sadly, just when her life had all come together, she was diagnosed with lung cancer and died at 51. To say that Angela was an interesting person is an understatement. She didn’t put much stock in appearance or housekeeping, although her house was decorated like a bardo. Her many friends never knew what she would say next- just as she wrote what she thought without a filter, so did she speak. Her relationship with feminism was rocky; feminists liked her rewriting of fairy tales to have the female as the strong character, they were less than happy with ‘The Sadeian Woman’. She herself dealt with sexism all her working life; the financial details in Gordon’s book seem boring but they show in black and white how much less she was paid than male novelists of the time, who sold the same number of books as she did. Angela Carter means so much to me I almost can't even think straight. This book is almost a thousand pages.